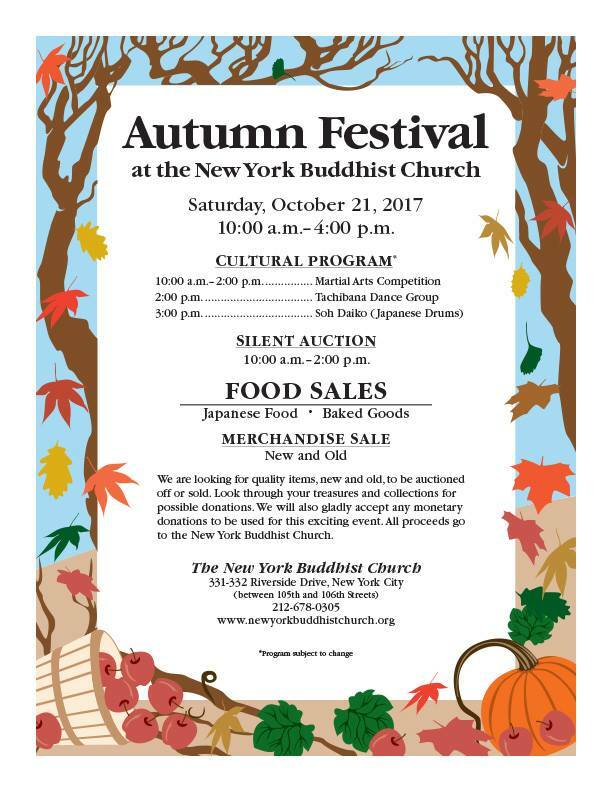 Soh Daiko members are gearing up once again for Autumn Festival, an annual event hosted by the New York Buddhist Church. This year’s festival will take place on Saturday, October 21st from 10:00am – 4:00pm. Throughout the day, visitors will be able to purchase homemade Japanese foods and baked goods while perusing a pop-up flea market full of donated treasures and Japanese crafts. 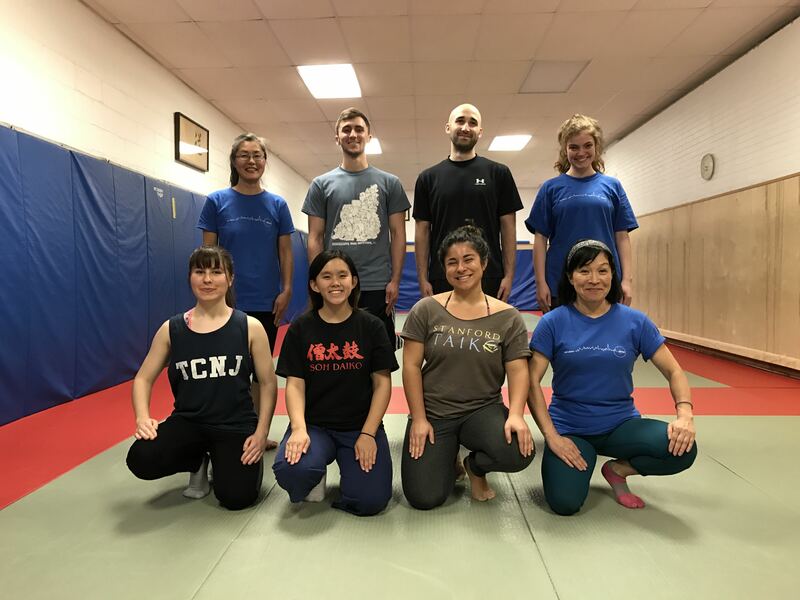 In between shopping and snacking, head downstairs to the basement dojo to see the martial arts competition and performances by the Tachibana Dance Group and, of course, Soh Daiko! In addition, we’re proud to announce the trainee class of 2017-2018, who will be making their debut performance during the Autumn Festival. 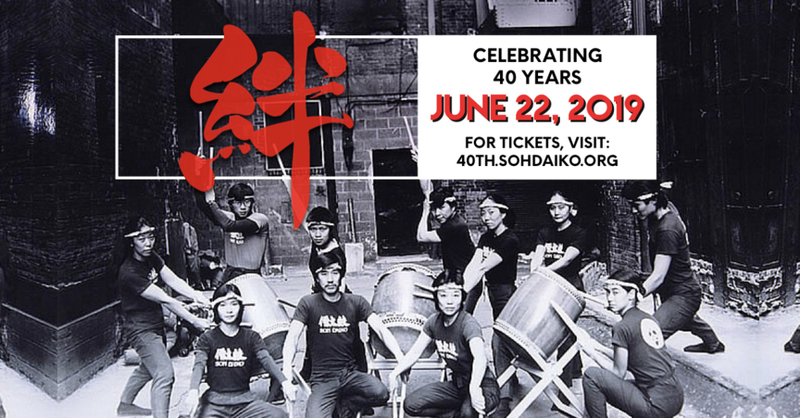 Please stop by and help us show them what Soh Daiko support is all about! For more information, please see the official event flier below.